Negotino is the second and smaller town in the Tikves plain, in south-central Macedonia. Negotino is seat of Negotino municipality and lies on the left bank of the river Vardar. 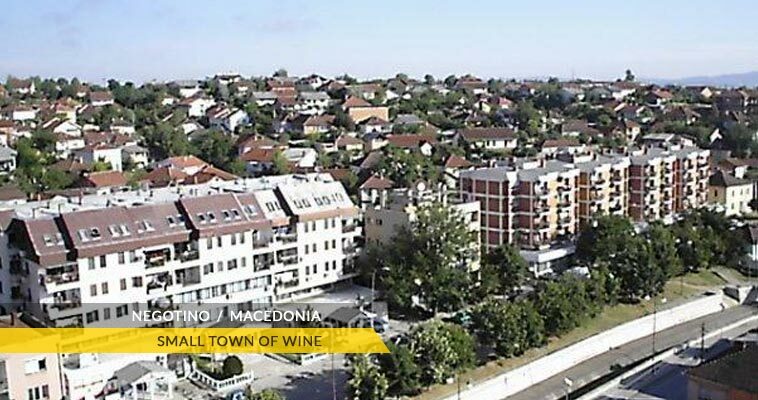 According to the 2002 census, Negotino had a population of around 15,000. Negotino lies at an altitude of 150 meters above the sea level. The E-75/M-1 road passes by Negotino and connects it with Skopje (90 km) and Veles (41 km) on the north-west, Kavadarci (10 km) on the west and Gevgelija (64 km) and Demir Kapija od the south, towards the Greek border. Negotino is known as a beautiful town in the Vardar valley.